A banned weight-loss drug can prevent fat buildup in the livers of rats. A drug the U.S. government once branded "extremely dangerous and not fit for human consumption" deserves a second chance, a study of rats suggests. condition that can lead to cirrhosis and liver cancer. DNP in diet pills that were available without a prescription. The U.S. Food and Drug Administration (FDA) banned the compound at the end of the decade, however, because it caused side effects such as cataracts and was responsible for a handful of deaths. altering the activity of mitochondria—the powerhouses that provide cells with energy—it forces the body to burn fat. It provides other metabolic benefits as well. For example, people with NAFLD or diabetes typically have insulin resistance, meaning that their cells don't respond normally to the hormone that controls blood sugar levels. 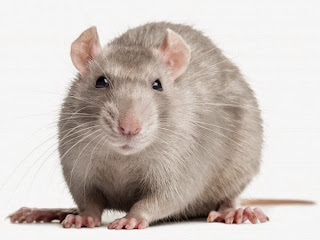 However, when Shulman and colleagues fed DNP to rats, they found that the drug boosted the animals' insulin sensitivity. The researchers decided to design a safer version of DNP that would retain its benefits. First they tried to limit the effects of the drug by creating a version that is active mainly in the liver. In a study published in 2013, the researchers demonstrated that this version of the drug was about one-tenth as toxic as standard DNP. Moreover, the targeted drug reduced fat buildup in the livers of rats that had NAFLD and improved the animals' insulin sensitivity. new study, they packed the original form of DNP into a pill that slowly dissolves and releases the drug over 12 to 24 hours. This strategy reduces the amount of the drug in the bloodstream. scarring that can cause cirrhosis and liver failure. The team also showed that it reversed diabetes in rats. Comparing the doses that provide these benefits with the doses that trigger side effects, the researchers determined that the slow-release version is safer than the liver-targeted drug. glucose, so "it's getting at the root cause of these diseases." He and his colleagues plan further animal studies of the drug and hope to move on to safety trials in people. justify testing the drug in humans. "They show it has a broad window between therapeutic and toxic levels," he says. people. "This preclinical data is extremely exciting," he says. despite its history. Banned drugs have made comebacks before. The prime example is thalidomide, which was outlawed in the 1960s because it caused birth defects but has now found a niche in the treatment of cancer and leprosy.